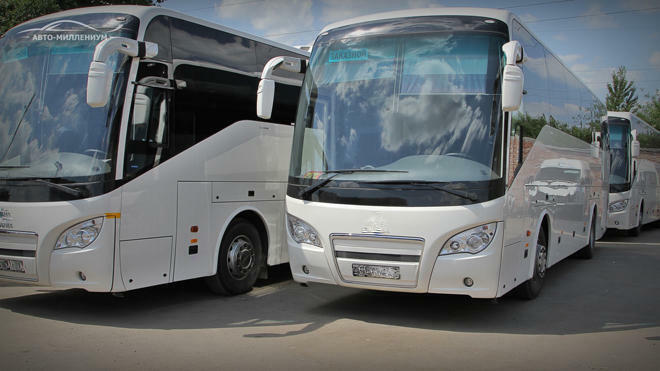 Three new interstate bus routes will connect cities of Uzbekistan and Tajikistan, the Uzbek media reported Sept. 10. In particular, the "Termez – Dushanbe", "Denau – Dushanbe" and "Samarkand – Penjikent" bus routes have been launched. The length of the international bus route "Termez – Dushanbe" is 251 km. The total time spent on the trip will be approximately 5 hours 39 minutes. The fare is 70,000 soums. As for the trip from Denau to Dushanbe, the distance is much less - 107 kilometers. The journey time is 2 hours and 25 minutes. The cost of travel from Denau to Dushanbe is 40,000 soums. The total length of the "Samarkand-Penjikent" bus route will be 64 kilometers, the travel time – 1 hour 25 minutes, the cost – 20,000 soums when traveling from Uzbekistan. Uzbekistan and Tajikistan opened the first regular international bus route in the direction of Tashkent – Khujand – Tashkent on May 15 this year. The pass of buses and passengers is carried out through the checkpoints "Oibek" (Uzbekistan) and the border crossing point (BCP) "Fotekhobod" (Tajikistan).